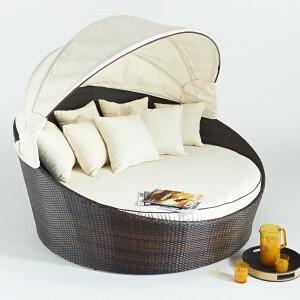 If a luxury rattan daybed is what you’re looking for, then you will be very pleased you found this! 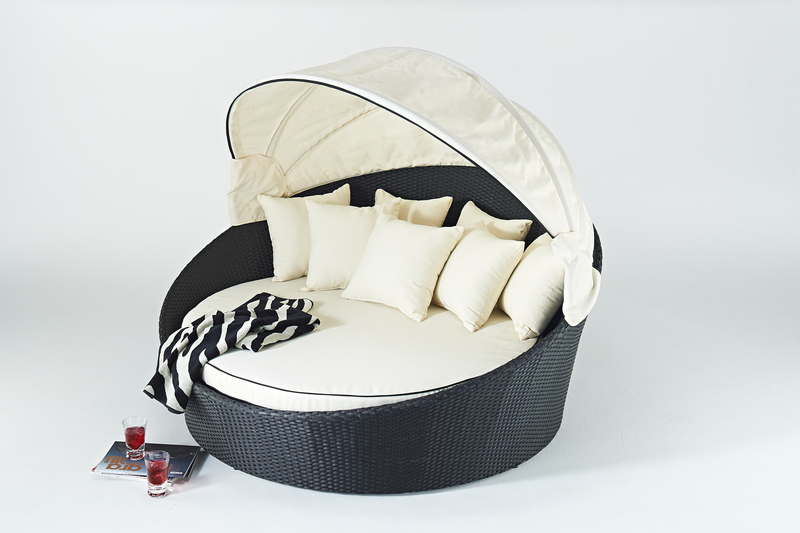 Our Royal Riche VIP Luxury Rattan Daybed has a total diameter of 1,700mm (which in old money is just under 5’7″), so there’s plenty of room on there. We supply it with 7 thick and luxurious ivory scatter cushions, finished in a stunning contrasting black piping. 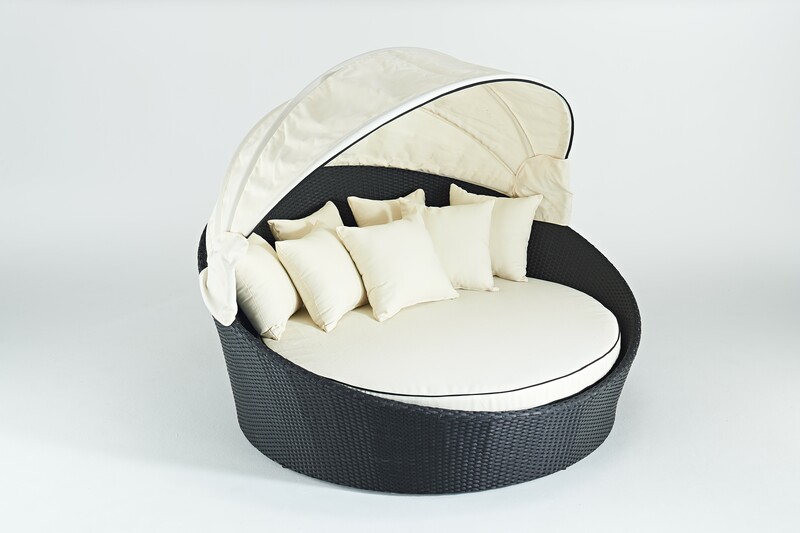 Being part of our Royal Riche VIP range, this daybed has the distinctive quality rattan finished, that is thicker than the cheaper options you might find available from other garden furniture suppliers, and has a raised detail as well. The daybed is made with an aluminium frame, so you have no worries about rust or corrosion, and it is weather resistant. The quality textured poly rattan weave is also UV treated, as well as resistant to fading. Finally, it’s frost resistant! 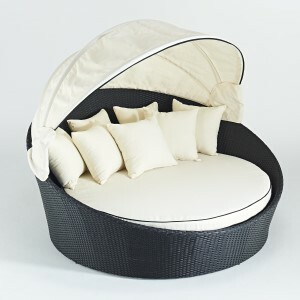 Be the first to review “Royale Riche VIP Luxury Rattan Daybed – Black and Ivory” Click here to cancel reply.